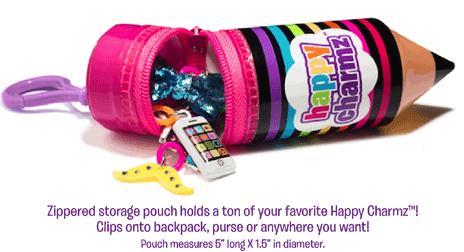 Happy Charmz are the latest craze for tween girls. Bling out your pencils and pens with these darling collectible charms. Writing doesn't have to be boring when you can accessorize! Super cute pencil or pen charms that are collectible, mix and matchable, and tradeable are the newest must have for every school-aged child. Available in starter kits which include two pencils and two charms MSRP $6.99, trio charm sets MSRP $6.99 and a cute accessory pouch with backpack clip for MSRP $5.99. Available at Justice for Girls and Books a Million stores nationwide and online at www.HappyCharmz.com. Fantastic stocking stuffer for your Tweens!! 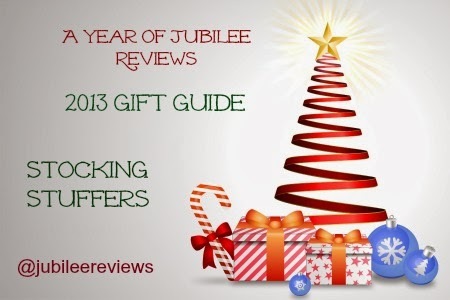 Great stocking stuffer idea! This is a very cute way for little girls to accessorize. These are the perfect size to stuff in our homemade advent calendar!